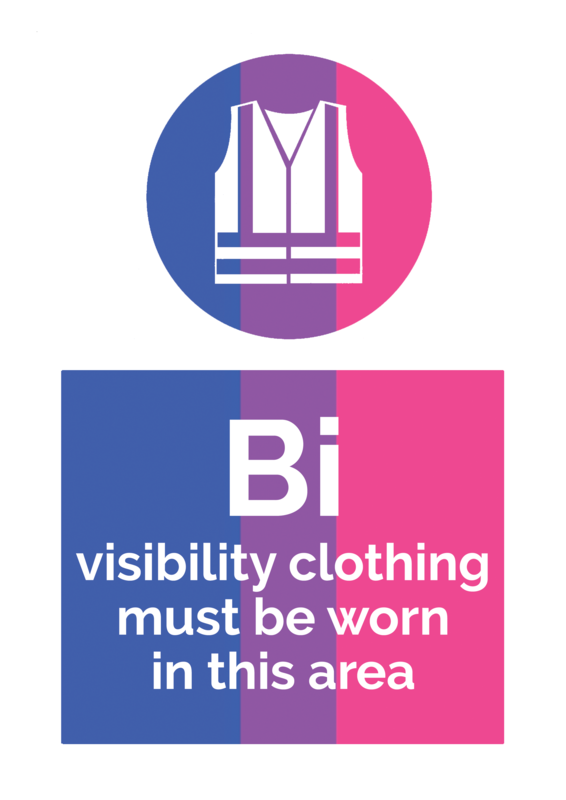 BI VISIBILITY CLOTHING MUST BE WORN IN THIS AREA, emblazoned in a mock construction site sign with the bisexual flag colours. 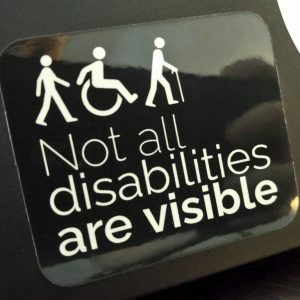 Jointly designed with Bi+ Ireland, 50% of proceeds from these stickers will go to supporting their great work across the island! 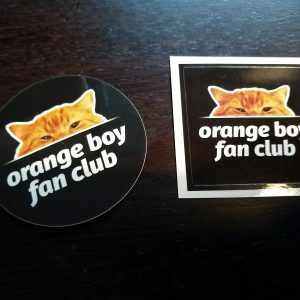 A sticker at £1.50 is the same sticker at £5 – pay what you like! 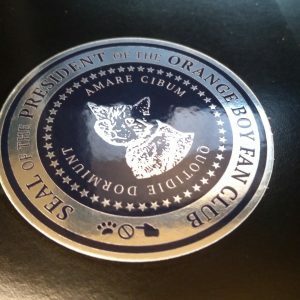 Worldwide postage is available! 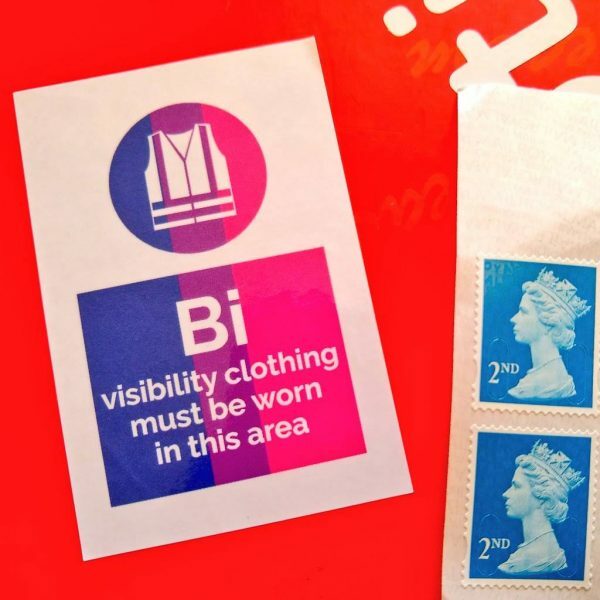 Free postage available for orders of £10 or more in the UK, £15 or more in Ireland and the rest of Europe, and £20 or more elsewhere. 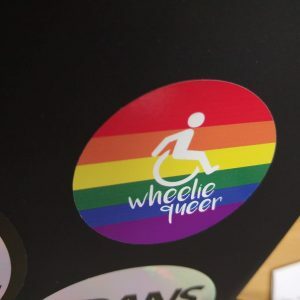 Printed on glossy laminated paper, these stickers are moderately water resistant and adhere strongly, but can be removed carefully to leave no residue if needs be. These stickers measure 80mm by 40mm. These stickers are sent in normal small envelopes unless ordered in large numbers.